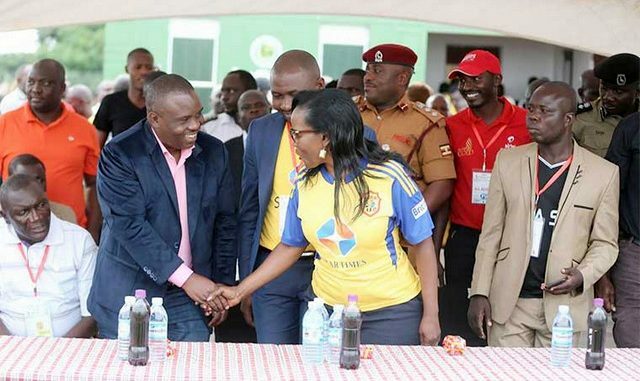 Jennifer Musisi shakes hands with Lord Mayor Erias Lukwago recently. Courtesy Photo. The executive director of Kampala Capital City Authority (KCCA), Jennifer Musisi, has penned a letter implicating the political wing led by the lord mayor, division mayors and councilors for inciting vendors to attack KCCA law enforcement officers. In her August 11, 2017 letter, Musisi claims that politicians at different levels have been influential in inciting the community to rise against and oppose enforcement operations in their divisions. Musisi contends that the actions of the politicians have resulted into attacks by the vendors and members of the public against KCCA law enforcement officers, leading to physical injuries and loss of organs. “The KCCA political leadership including Authority and Division councilors has consistently accused our staff of being murderers, thugs, brutal, high-handed and unprofessional and stirred up resentment and physical attacks on the staff by the public,” Musisi writes. She says the political leadership, which formulates policies that law enforcers, are trying to implement shouldn’t be condemning KCCA law enforcement staff. She accuses Ronald Nsubuga Balimwezo, the Nakawa division mayor, for inciting Kinawataka residents and shop owners to break KCCA law revenue seals that were lawfully placed to enforce compliance. “He reportedly often threatens officers and orders them to release suspects before they are charged…he claims enforcement staff are harassing his voters in the course of their lawful work,” reads Musisi’s letter. She also accuses the Kawempe division mayor, Emmanuel Sserunjogi, for ordering the law enforcement team to stop arresting vendors operating in Bwaise, where solar traffic lights have been installed, during evening hours. She also says Sserunjogi has stopped the transportation of impounded merchandise from Kawempe division headquarters to City Hall court. Musisi also claims the Central division mayor, Charles Serunjogi, has stopped the law enforcement officers from conducting operations during certain hours. “The mayor of Central division has reportedly instructed division law enforcement officers not to conduct any trade order operation beyond 1800hrs, citing a presidential directive, yet that is the time when roads are flooded with vendors. 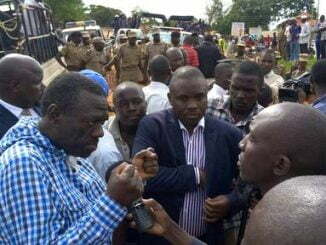 Furthermore, he has reportedly advised vendors and mechanics working on the newly built road along Kisekka to continue working and resist/repel any enforcement officers who go there to decongest and protect the street,” Musisi says. She also accuses the office of the Kampala minister for operating behind the scenes to frustrate city law enforcement. 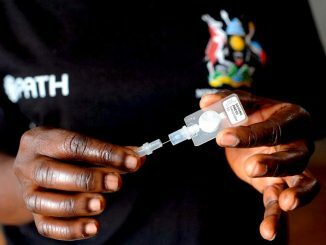 “The Office of Minister for Kampala, has also reportedly been used to sabotage and intimidate our enforcement operations through Mr Hassan Kasibante in various areas, including installation of popcorn machines in Old taxi park and also blocking removal of vendors in Kajja behind Mini Price Police booth…even vendors have reportedly used people from the minister’s office to claim back impounded items and exert pressure on law enforcement officers,” the letter reads. The Central division mayor, Charles Serunjogi, describes Musisi’s claims as “unfounded allegations. He says what is important is for Kampala leaders to sit and plan for a city where both the poor and rich have opportunities to earn a living. 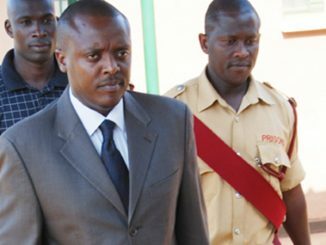 “It is wrong for Musisi to say that I am sabotaging her law enforcement team, which is unlawful. What is provided for is the Metropolitan Police, not law enforcement,” he said. Doreen Nyanjura, the Makerere University councilor, said Musisi is being speculative. “I have not incited anyone to attack KCCA law enforcement officers. I have only been advocating for a city that accommodates the urban poor,” she said. Nyanjura argues that the alternatives proposed by the city council such as licencing vending on some streets have been watered down by the KCCA management.